Our very own Winter Wonderland in the heart of Dublin City. 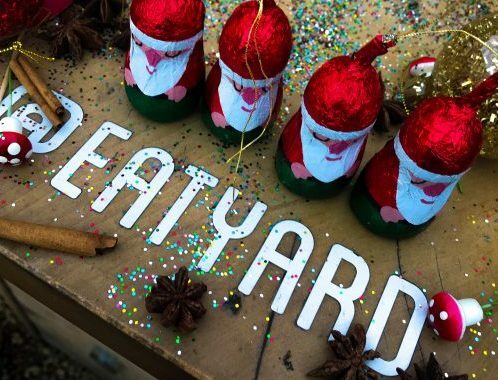 Eatyard will REOPEN November 22nd- December 23rd | Thurs-Sun 12-10pm. Festive food vendors like Box Burger, Lucky Tortoise dumplings, Meltdown cheese toasties & fondue, Flamin Marvellous Bratwurst, chimney cakes, mince pies, mulled wine, hot whiskeys, crafting workshops, Caravan Karaoke, Christmas films & Live Music in our Eatyard Winter Wonderland with warm wood burning stoves for cozy catch-ups ❄️Find out more here.